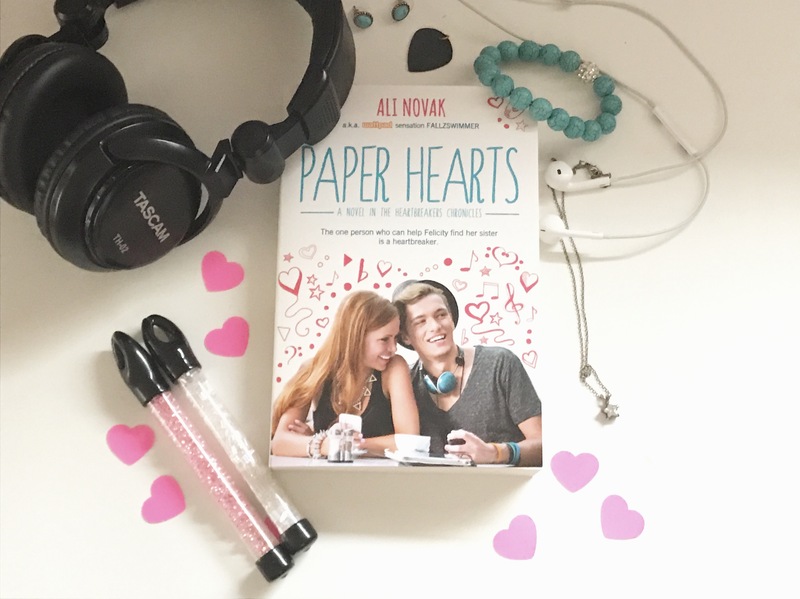 ****Do not read this review if you haven’t read ‘The Heartbreakers’ by Ali Novak! This is the second book in the Heartbreakers Chronicles! Read my review of ‘The Heartbreakers’ HERE! Felicity has her sights set on Stanford, determined to become a lawyer like her estranged father and make her mother proud, especially after her older sister ran away, devastating the both of them four years ago. Then she meets Alec Williams, bassist in the sensational band the Heartbreakers at a masquerade ball. When Felicity discovers a shocking secret about her sister, her, Alec, and her two best friends embark on a road trip to find Rose. I’ve been waiting over two years for the next installment of the Heartbreaker chronicles, so I was ecstatic when Target delivered my copy early! I love Ali Novak’s writing style, because it flows so nicely. Basically, I’ll read any and everything she writes. In the Heartbreakers I was always intrigued by Alec’s demeanor; he was always so reserved and quiet, so I was excited to see how his love story would be portrayed. I wish he had opened up more throughout the book, though. He did at the end, but even though I know he’s a really reserved personality type I would’ve felt like he was more involved in their road trip if he had opened up a bit sooner. Felicity was a great main character, and I love that (like Stella) she put her family/sister over her relationship. A common theme amongst this series is the girls realizing they have to go after their dreams and reaching for the goals that are the best for themselves. It was nice to see Felicity have such a strong friend unit with Asha and Boomer, and they stayed strong throughout the novel. The symbolism behind the title ‘Paper Hearts’ is so sweet–it’s a nod to the hearts that Felicity’s runaway sister Rose used to constantly make. I also loved it when Stella and the boys popped up, because it was awesome to see how Stella and Olivier interact months after we read about them at the end of the Heartbreakers. One of the things that I love about the Heartbreaker Chronicles is that the stories are told from the girl’s point of view, even though all of the books involve the band. Overall, I would definitely recommend this book/series to anyone who loves sweet contemporary romance novels, especially if they involve music! While ‘Paper Hearts’ doesn’t have as much involvement with the band as the first novel did, it’s still a great second installment, and I can’t wait for the next novel!! Connect with the author! You can follow Ali Novak on twitter, Instagram, and Wattpad at @fallzswimmer!